If passed, Oregon would become the third state to legalize pot after Colorado and Washington to allow recreational use of marijuana. 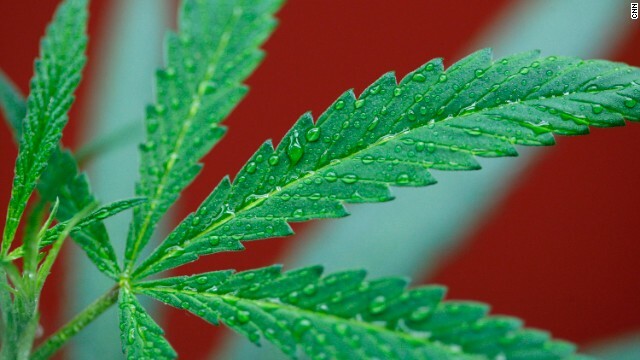 Another 21 states, including Oregon, allow the use of medicinal marijuana. Oregon voters rejected a marijuana legalization measure in 2012, the year that Washington and Oregon passed theirs. Alaska voters will also decide on similar legalization in November. Prison in the country is as much about " reforming" behavior as it is about punishment. One of the outcomes of this approach are the laws for pot use, which people saw more in terms of a moral and behavioral issue than one of actually danger to society. Creating a series of social values that criminalize certain behaviors is a huge overreach of the state. Treat like a DWI, and bust people if they have levels of THC in their system the same way you would for alcohol. We have far more serious issues facing law enforcement than busting people for smoking weed in their own homes. Hmmmm... where's Sniffitt and his take on the Supremacy Clause? No, this would fall under his usual "discretionary enforcement" clause that the Obama administration has made up out of thin air. Where the government earlier could exercise this on a case by case basis, the leftists in the Obama administration have now carried it to much higher levels, such as excluding enforcing laws in certain states, exclude enforcing laws for certain groups of people, and exclude enforcing laws they just don't like. It is literally a whole new legal system, defined and redefined daily by the whim of one person, King Obama. Isn't that just wonderful?! To early to tell, that means nothing is happening, no increase in crimes, illnesses, deaths, all the thing the gop promised, I, for one am shocked! Ha ha ha . Simply just another gop boogeyman. "No, this would fall under his usual "discretionary enforcement" clause that the Obama administration has made up out of thin air"
He said after I've repeatedly cited to the SCOTUS case that would explain it to him if he bothered to read it (not to mention the cases before and after on which it was based and which have followed its precedent). Heckler v. Chaney, pal...read it and provide a rational, detailed, cogent argument as to why it's not applicable or you're just another mouthbreathing Faux android parrot spewing whatever nonsense they transmit into your brain via your tinfoil hat. Fact is, you really don't have the slightest clue what you're talking about and your posts consistently provide glaring examples of exactly what the problem is in terms of the level of misinformation and avarice the GOP/Teatrolls and their agitprop machine have generated. "I wish the whole country would decriminalize all victimless crimes." I dunno if that's a standard we really want to use hehe. I mean, that crazy homeless guy you saw on the subway last month who was playing with himself really wasn't "hurting" anyone per se...and some might actually have found the whole thing somewhat hilarious and entertaining, albeit uncomfortable and gross...but ummmmm, yeah, we still don't want him doing it. It's time for all of us to start doing unto others as we would have them do unto us. None of us would want our kids put in jail to be gang-raped over a little marijuana. None of us would want the police to confiscate and sell our parents' home because they grew a couple of plants to help with their aches and pains. Let's start treating other people the way we would want to be treated. This is going the same way as gay marriage! No stopping progress!! Sniffit, since you think that the DC Circuit Court is playing a semantic game, how about this argument. (Don't jump on me. I support the ACA. I just like to know what you think of my argument.) The ACA (also known as Obamacare) says that subsidies are available to people who buy insurance from exchanges established by states. The ACA does not say that subsidies are available ONLY to people who buy insurance from exchanges established by the states. There is a difference between "A gets something" and "Only A gets something." The word "only" is not in the ACA as far as the subsidies are concerned. Yes, I know about expressio unius est exclusio alterius. As far as I know, that is a canon of construction, not law. Yeah...problem is, it's all too easy for the GOP/Teatrolls to convince heir base that some people aren't people, but rather something subhuman and unworthy.